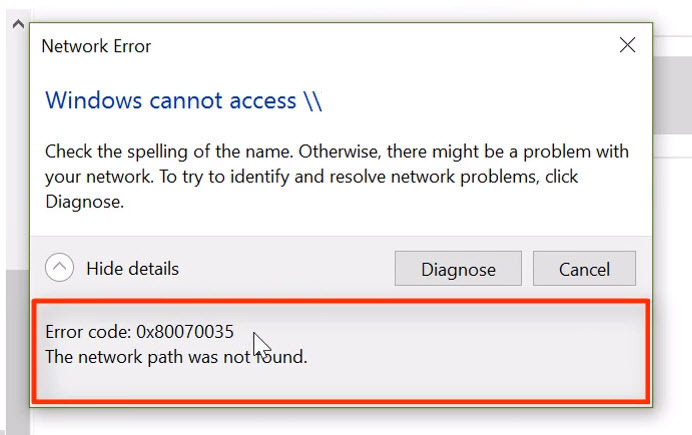 In this tutorial, learn how to fix “Error code: 0x80070035 The network path was not found” on Windows 10 while trying to access the Network Access Storage. Let me explain What is Network Attached Storage (NAS)? 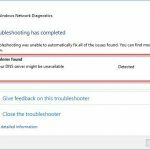 This error could be caused by many factors, so this tutorial will help you troubleshoot and get your problem solved. First of all, I would recommend you should disable firewall and the antivirus program temporarily. 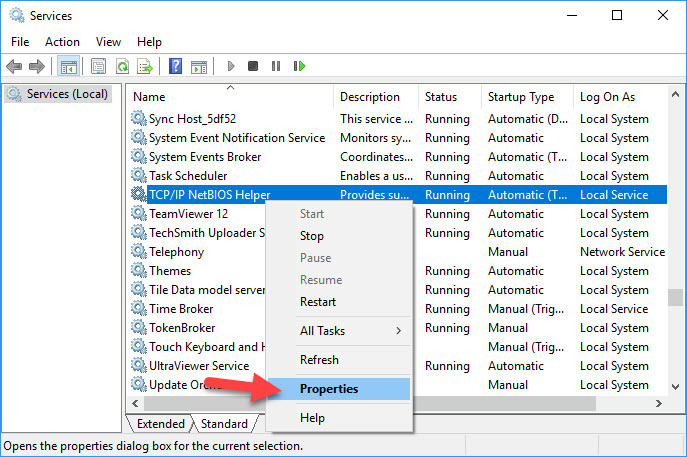 After then has been disabled, you need to reboot your Windows 10 operating system. After the machine starts, go back to the Network & Sharing Center and check if you can access the resource on the network. If the issue still persists, move on Method 2. Step 1. Go to Control Panel > All Control Panel Items > Network and Sharing Center. Step 2. 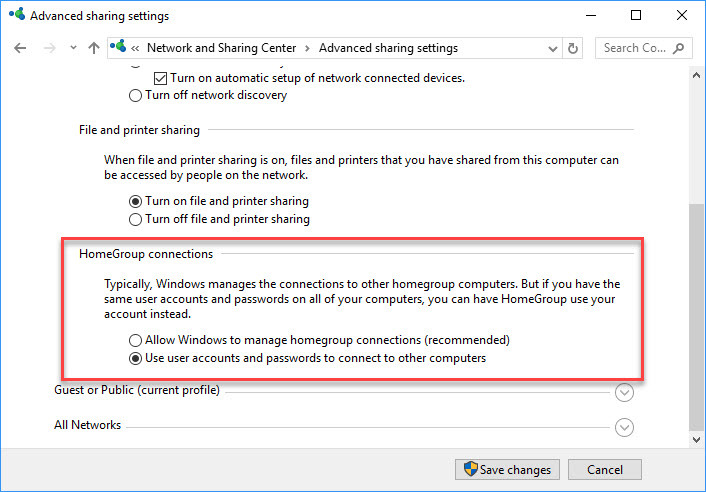 Click on Advanced sharing settings link on the left column. Step 3. 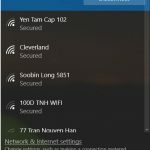 Under Private profile, in HomeGroup Connections section, check Use user accounts and passwords to connect to other computers option. Click Save changes and you can now exit Control Panel. Step 1. 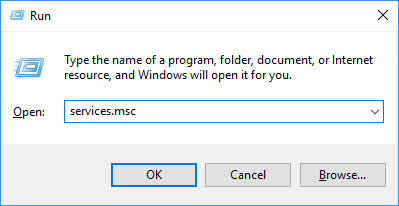 Press Windows Key + R then type devmgmt.msc in Run dialog box. Click OK to open Device Manager. Step 2. 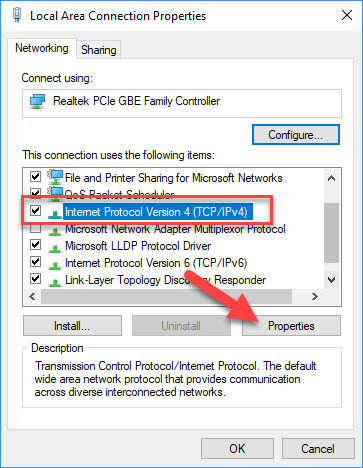 In Device Manager window, scroll down and find your network adapter. Expand it and right-click it and click Uninstall. 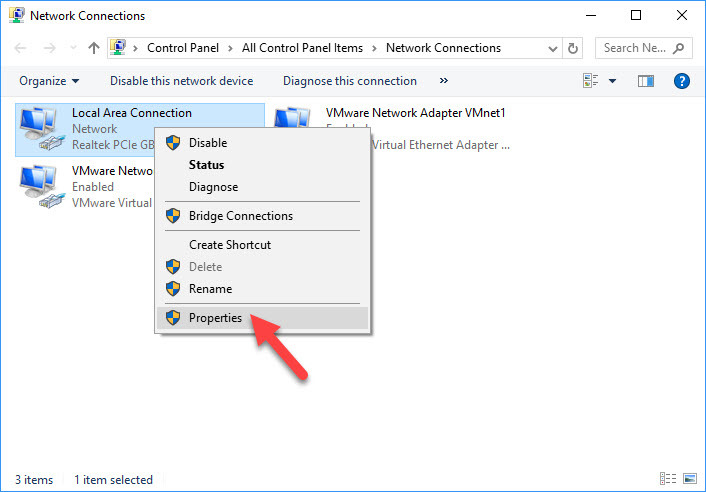 This should uninstall the driver for your network adapter. Step 3. Then click Action > Scan for hardware changes. This will reinstall the adapter and check if error code 0x80070035 occurs then. Step 1. 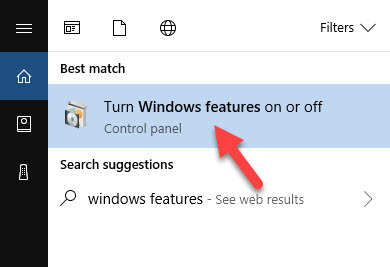 Using Windows Search, look for Windows features. From results, click Turn Windows Features On or Off. Step 2. 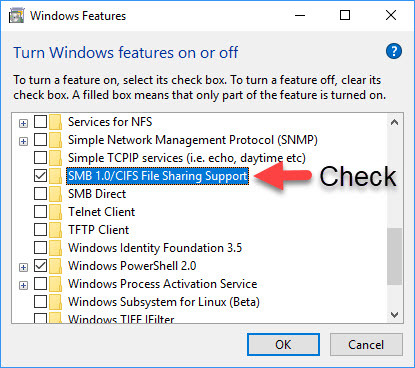 In Turn Windows Features On or Off window, scroll down and find SMB 1.0/CIFS File Sharing Support which must be checked by default. Check this option to enable SMBv1 and click OK. Step 2. 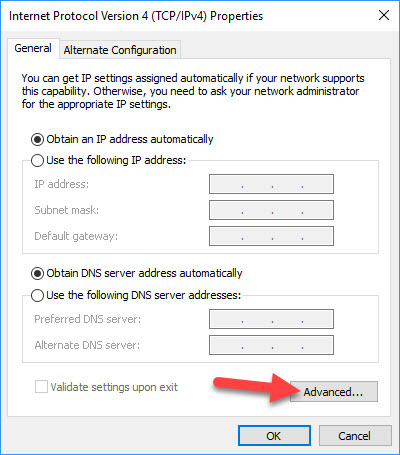 Then, locate the TCP/IP NetBIOS Helper service and make sure it’s running. Note: If it is not running, then set to Automatic Startup type and start it. Step 1. 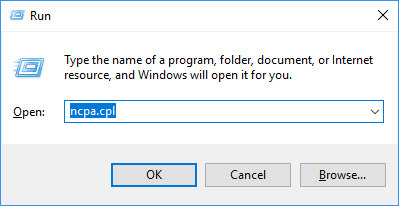 Press Windows Key + R then put ncpa.cpl in Run dialog box. Click OK. Step 2. 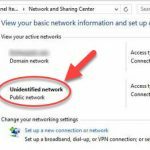 In Network Connections window, locate your primary network adapter and right-click on it, click on Properties. Step 3. Then, on the property sheet, go to Network tab, scroll down and select Internet Protocol Version 4 (TCP/IPv4) and click on Properties. Step 4. Next, on TCP/IPv4 property sheet, click on Advanced… button. Step 5. Finally, on Advanced TCP/IP Settings sheet, go to WINS tab. 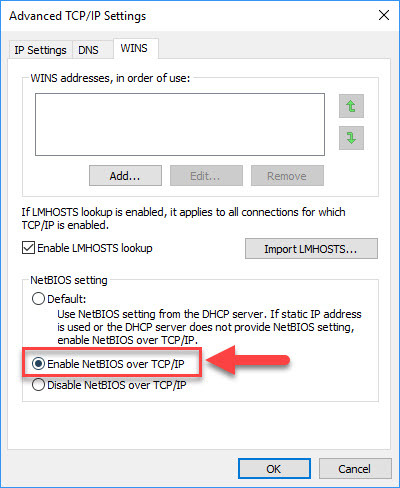 Under NetBIOS setting, select Enable NetBIOS over TCP/IP option. Click OK to save changes. This should fix the problem significantly and you can try to access the share without getting the error message 0x80070035.